Preschoolers love hearing about the escapades of that naughty little gingerbread man! This is one reason why gingerbread man lesson units are so popular in the preschool classroom. Below are ideas for ways in which math may be incorporated into those lessons. These ideas may be used independently – after a shared reading or re-telling of the story – or as part of a larger unit. Looking for a way to practice number recognition and counting? How about baking your own gingerbread cookies? Cooking involves many mathematical skills: identifying numbers on a measuring cup, counting out scoops as you add ingredients to the dough, practicing how to read a clock as you set the kitchen timer, and even getting the chance to use really big numbers as you set the oven temperature! "Add two brown candies to make the eyes." "Add one red candy to make the mouth." "Add three blue candies to make the buttons of his coat." 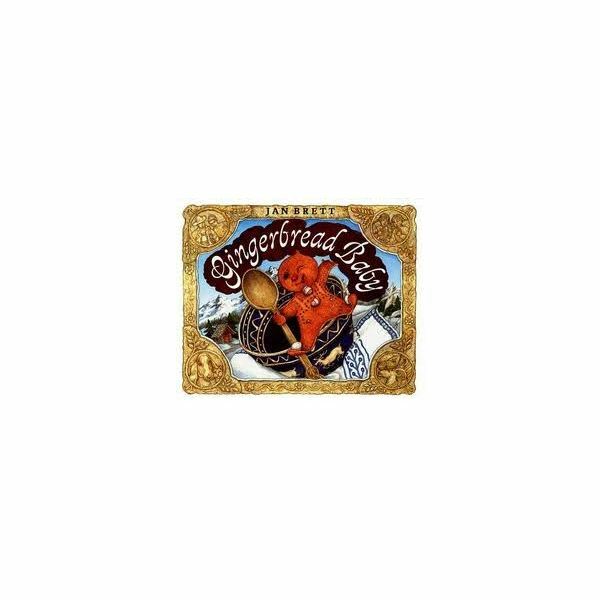 As you sit with each child, you can easily assess whether they are able to identify the correct number while reading the card, count out the appropriate number of candies, and then follow directions by adding them to the appropriate spot on the gingerbread man's body. If baking in the classroom is not an option, you can still practice counting skills using a gingerbread man template. Which body part received the most bites? Which body part received the least bites? Did any body parts receive the same number of bites? How many more people took a bite out of the ____ than out of the ____? How many fewer people took a bite out of the ____ than out of the ____? Story problems are a fun way to practice math! You can work on them together, as a class, or assign problems to paired students. Simple story problem solutions may be modeled, or acted out, using either the gingerbread cookies you have baked together, or smaller versions of the template offered above. For the problems involving candies, consider allowing the students to use real candies as counters. If you have pairs of students solving problems together, be sure to spend time together as a class going over the strategies they used to solve each problem. Learning from each other is beneficial to developing skills. Here are several sample problems to get you started. They cover beginning addition and subtraction concepts. 1. First, we baked 2 gingerbread men. Next, we baked 3 more. How many gingerbread men did we bake all together? 2. A gingerbread man was running away. First, he saw 1 cow. Then, he saw 2 more cows. How many cows did he see all together? 3. You were having fun baking your own gingerbread man. First, you added 2 candies for the eyes. Next, you added 3 candies for the buttons. How many candies did you add all together? 4. There were 5 men made out of gingerbread playing on a hill. A hungry fox came along and ate 2 of them! Now how many gingerbread men are left? 5. There were 4 gingerbread men lying on a cookie sheet. 2 gingerbread men ran away. How many gingerbread men are left? 6 You baked a gingerbread cookie for a snack. First, you took 1 bite. Then, you took 3 more bites. How many bites did you take all together? Remember, the quantities for each problem may be adjusted depending on the students’ developmental levels. Offering various levels of difficulty is an easy way to differentiate the learning for students who are more advanced, or for those working at a more basic level. Looking for ways to extend your Gingerbread Man lesson? 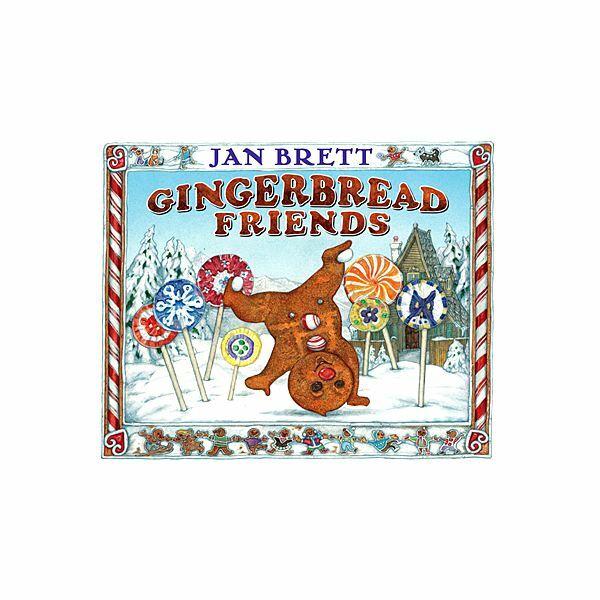 Math activities can be stretched even further by exploring some companion stories written by famed author and illustrator, Jan Brett. Gingerbread Baby shows what can happen if you open the oven door a little too soon, while Gingerbread Friends gives the reader a glimpse at what could happen if you had a Gingerbread Man living in your very own bedroom! Both stories offer preschoolers the opportunity for dramatic play, as well as story starters for creating their own version of events. Use those stories to create a bank of math problems the students can work on during center time. The students will have fun writing or dictating story problems of their own, and then solving them. The ideas offered in this lesson are based on the author's extensive experience as a classroom teacher and homeschooler.